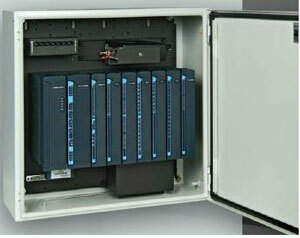 ACE3600 is an all-in-one package that includes the RTU, radio and software for quick installation. The ACE3600 features a graphical user interface (GUI) that minimizes training time by allowing system configurations and network operations to be managed through simple, user-friendly applications. The GUI includes program and system self-maintenance software tools. This flexible communications capability enables the ACE3600 to connect with several local devices, analyze the data and remit that information via different media to various other locations.